OPT Nation is a job search site which has taken the number 1 position defeating its competitors. It is one of the leading online career and recruitment resource. With the increased in awareness among the international students and having the want to grab the job as fast as possible, the use of search engine sites has drastically increased. The number of jobs increases in proportion with the demand of opt jobs for international students. To make a bright career it is vital to choose the correct employer which helps student to rise in the career. Each day large number of student registration occurs on the OPT Nation Worldwide network. OPT Nation provides the widest and most sophisticated job seeking, career management, recruitment and talent management capabilities globally. OPT Nation has become the catalyst for putting the world to work. OPT Nation is intensely passionate about delivering the right fit for every hire. OPT Nation helps companies of all sizes to hire the best talent and offers the best opportunity for job seekers to get hired. From the vast database of both candidates and employers the OPT Nation offers relevant result on any job search query. The unique 2-way matching technology, which helps candidates get the jobs they deserve and helps recruiters hire faster. Any job as soon as it is posted online gets its visibility on OPT Nation. The site has the accumulated data of job posted from all over the different websites. No matter where a job is posted, it will be easy to find when you use OPT Nation. Job seekers have the benefit of viewing millions of jobs from various companies and job boards. OPT Nation has proved itself to be the most effective platform for both the candidates and the companies driving millions of targeted audience and applicants. It has job posting on each and every field of job which is beneficial for the students of different fields seeking job urgently. It is possible to create resume on OPTNation which makes it easy for employers to find the candidates. Even a simple will work significantly for the candidate looking for job. With an OPT Nation Resume it is easy to apply to jobs posted on OPT Nation, even from your smartphone or tablet. If the employers are looking for the aspirant candidates then they wish to have their database updated on regular basis to choose among the best candidates. Employers can take advantage of huge resumes database to search out for suitable persons for their organizations acquiring just the candidate’s database is not enough, they also need to from a reliable source. Employers can find the best resume among the thousands of entries by searching on the opt nation. OPT Nation is the reputed search engine for finding the best jobs on keywords like OPT Jobs, CPT, BA training, QA training, IT training, Technical Training, Junior QA/BA, ETL Tester, Project Manager, EDI Analyst, Data Analyst, IT Security Analyst, SQL Developer, Web Developer, DBAs, Software Developer, Desktop Support Analyst, Data Warehouse Testers, Mobile App Developer/Tester, Java Developer, Automation Engineer, System Administrator, Solution Architect, SharePoint Developer, Programmer Analyst, Sales Force Developer, etc. The auto-complete on the job title helps the candidate look for the various other kinds of job designation as well. Optional Practical Training and the Curricular Practical Training are the programs initiated by the USCIS to benefit the international students work during their graduation period. This helps them take the insights of the corporate field. The work permit is not easily given to all the students who are applying, it takes lot of time and there is huge process involved. The QA training is most in demand in the present time because all software application before getting in to real usage has to pass through various tests. It is important to debug the code and make the software error free. Whatever will be the market condition the requirement of QA analyst will remain stagnant. Many QA Tester positions are project based so the better Tester you become the faster your salary will grow. BA Training is getting popular among the recent graduates. BA Training profession needs the candidate to recognize, think and execute the plans for the related business. The job applicant must possess sharp analysis skills. Most of the international students look for the BA training because of the high salary it offers. The umpteen benefits of the job search engine includes right from finding jobs, companies, employers widespread across the USA to career advice on any topic which concerns the international students. In the recent times, there are various companies showing the willingness to hire the temporary workers on the OPT work status and thus the employers are in need of aspirant OPT employees. They need the platform through which they can find the information about the candidates. Majority of International students who come to United States of America are granted the temporary work permit and they can have the benefit of working. The OPT employment opportunities helps the students take the work experience while pursuing their graduation. Employers can communicate with the OPT job aspirants and provide them the required insight on the opportunities with them. OPT Nation keeps the updated database making it easy and simple for employers to surf through the data. The candidates also update resumes on a daily basis from OPT aspirants; it is the best reliable online source for employers as well as employees. Employers and Trainers can find the best suitable candidate for their related job position. Employer can also post jobs on daily basis. Not just the employers but also the candidates find it simple and easy to search for various jobs within OPT and CPT Work status. The students have to visit optnation.com and register themselves uploading their resume and filing up the detail form. They can surf through the jobs and also save the jobs for the future view. The registration for all the three entities is not tough it has very few simple steps. The registration is completed only after the particular candidate or employer agrees to the terms and conditions. If the employers find the matching profile of the candidate then they would approach the candidate for the job following the legal procedure involved. It is important for both the job-seekers and job providers to communicate within the earliest possible time and in the transparent manner. 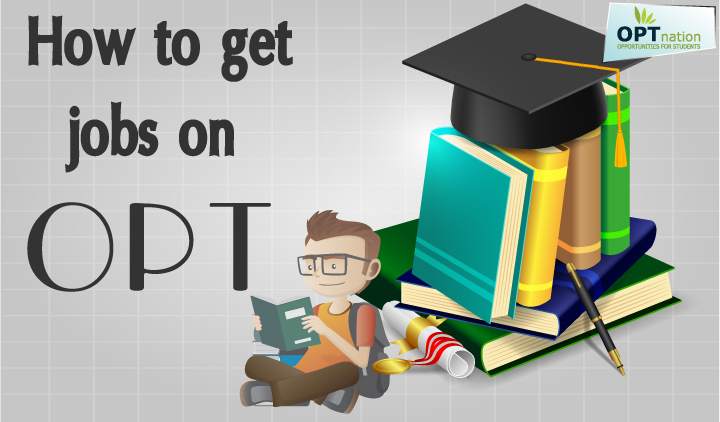 The queries of the candidates, employers and trainers would also be solved the experts of the team OPT Nation. It is an interface connecting the employees, employers and trainers. Employers have the greed of closing the best candidate for the job position whereas the job seekers have the dream of getting engaged with big IT Company. It provides relevant profiles to both the job seekers and the job provides across all the industry levels. People with both experience and inexperience can find jobs on OPT Nation across entire United States. The internships, work placements, and entry level jobs can be easily searched for. The job boards helps in placing large number of candidates in the big IT companies. OPT Nation provides the guidelines and career advice to those on F1-visa seeking for OPT/CPT Job. Tips are provided for the aspiring candidates aiming for H1b-visa. Help on various topics related to career for the international students can be found on the OPT Nation. The articles on the latest news regarding the issues related to F1 visa, Interview queries, H1B process, H1B visa work status, OPT and CPT are daily posted to keep the related person informed. 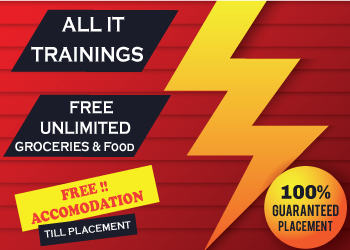 Students can have the advantage to apply in the latest training courses on the recently updated technologies and placement services by simply posting the resume on website. Trainers are given then opportunity to post their training details and information on the website. The post about the training can also contain the training schedules so that the candidates can choose for the eligible programs based on comfortable dates. There is flexibility for students to search for jobs based on the Job title, skill or keyword, Company, location, experience, type of job and type of employer. There is also possibility of filtering jobs according to their freshness. Top Companies and Top Consultants have registered themselves on the OPT Nation which would be beneficial for those aiming to get placed in top companies. We also help in providing your resume to multiple employers attention by Blast Resume where your resume will be sent to thousands of hiring professionals and employers and helps OPT/CPT students to get noticed. Resume boosting will increase the visibility of the resume under the recruiters. The interested candidates have to give the information like name and the number to get contacted by the experts.OPT Nation also provides different services for the job seekers searching for jobs like Priority Resume to highlight their resume and be on top in the resume list. You resume will be highlighted and appear at the top of the resume list. The other kind of feature is if the student while surfing through the jobs finds it suitable for another person, then he can mail that job to that person. If the candidate is interested in job but while applying for the job wants to add the additional detail, then the mail option can help. If there is no requirement of further information then directly apply option can be used. The Advance Search option provided by the site offers the job search in the detailed form. While searching for the job, there can be variation in the keywords like with all words, with the exact phrase, with at least one of the words, within job title and within company title. The location based search can be filtered based on miles and range. The job options are narrowed with the type of job like full time, part time, permanent, temporary, contract, training or voluntary. The jobs can be sorted based on the relevance and the date or days of being posted. The usp of the site is its detailed job description and exact matching jobs related to the key skills. The candidate applies for the job only after going to the job description. If there is vagueness in the job description the candidates would simply overlook the job without applying. The OPT Nation in its world wide web has resolved the problem of candidates by giving the full detailed description about each and every job posted. The site gives the feedback option to any register entity. For any problems or queries the particular person is been given the right to post the problem with the registered email id. The entities have to highlight the issue they facing and they will be surely contacted fast and quick with the solution. The customer service provided is appreciable. If the student does not want to spend time behind searching for the jobs online then there is also a benefit of getting the jobs directly in their mails. By Subscribing for the job alerts, candidates have the advantage of getting job alerts instantly. The candidates can follow on various social sites and get the direct updates on their social profiles.